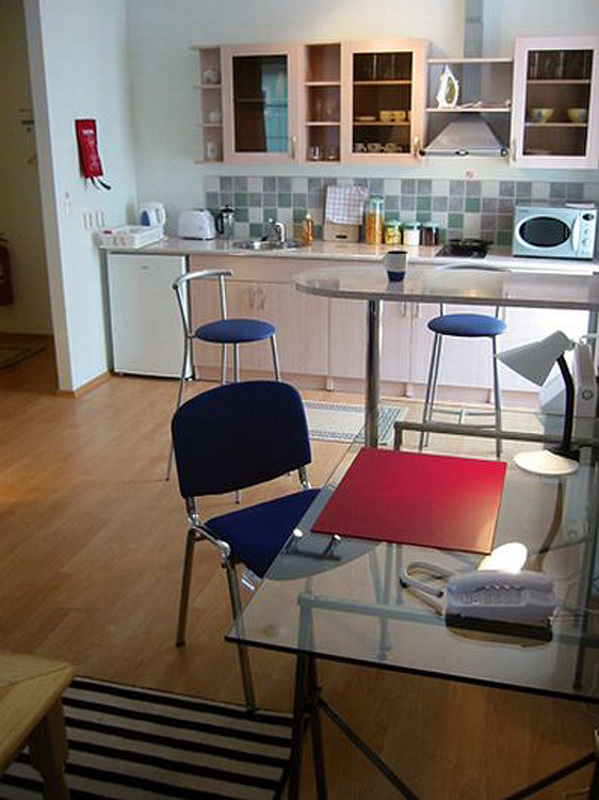 This large 42 square meter 3rd floor apartment serviced by elevator is modern bright and airy. The open plan apartment combines a separate sleeping area with a double bed, a relaxing living area with a double divan, coffee table, easy chair, and satellite TV. The divan opens into a double bed. The work area has a stylish modern glass writing desk with high speed internet access and telephone and desk light. 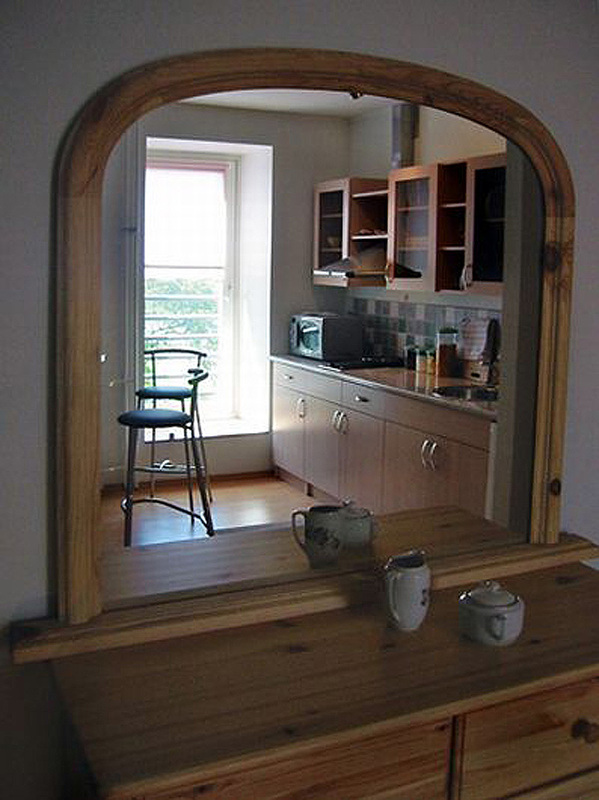 There is a fully equipped kitchen with everything you need for a comfortable short stay. The bathroom has a shower and is equipped with a washing machine. 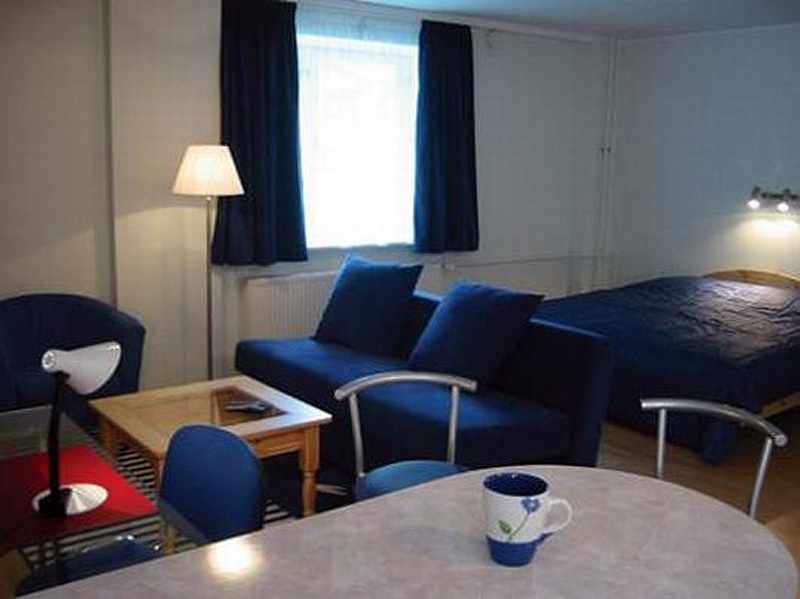 Only hotel standard white bed linen and towels are used. 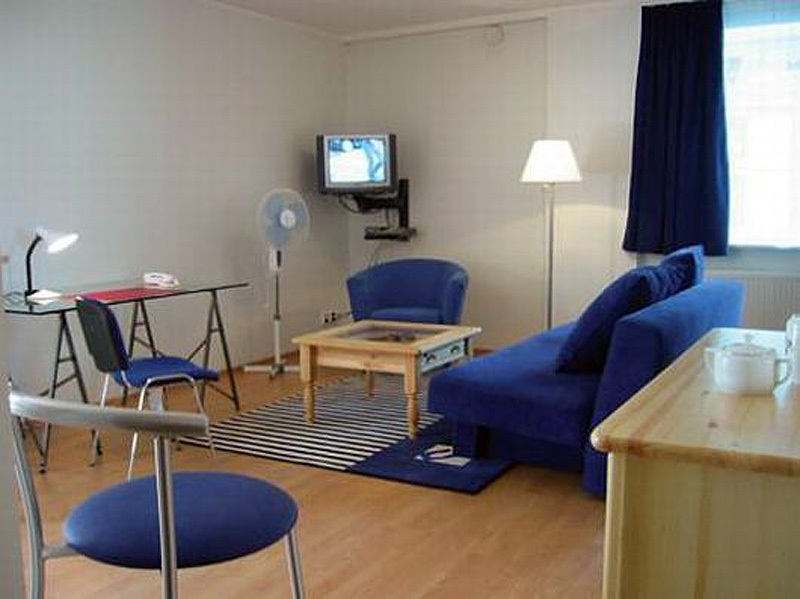 Facilities include: High speed internet access, local telephone calls, work desk, Satellite TV, tea, microwave oven, toaster etc, washing machine, clothes horse, iron, ironing board. 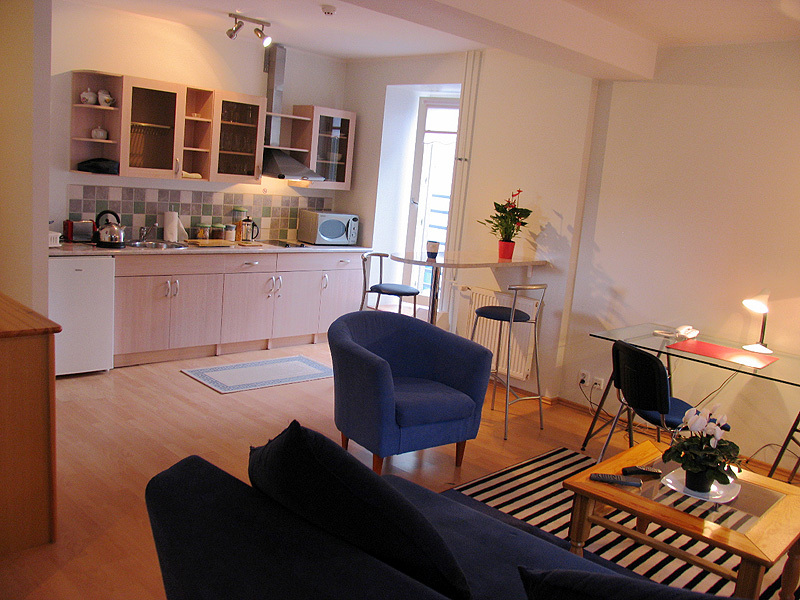 This apartment is intended for up to 2 people but can cater for a maximum of 4 persons.